Tall Pines Homes: Location, Location, Location. This fully updated 5 Bedroom + Den 4.5 Bath property is beautifully appointed situated on an oversized South West Exposed Lake View Lot in Tall Pines. Perfect for entertaining this open floor plan is complimented by its outdoor living space including a resort style pool and spa. Updates include New A/C Units & Duct Work, New Tankless Water Heater, All AV Equipment with Cameras, New Kitchen Cabinets, Granite Tops, Backsplash, Painting, Flooring, Lighting, Fencing etc. Full List available upon request. Something Not to be missed! 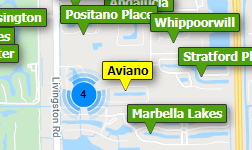 Tall Pines Homes: One of the best locations in Naples with Low HOA's! Exceptionally Renovated home in the heart of Naples. This 4 Bedroom + Den Pool home has everything you could want and more. Entire interior of the home has been renovated starting with custom wood slow close kitchen cabinets, under cabinet lighting, Exotic Natural quartz counter tops, large island with a Sil-granite Sink and stainless steel appliances. Great Room concept with formal living area surrounded by custom built-ins. Master Bath has been completely renovated with level 5 quarts counter tops(in guest bath as well), Cast Iron soaking tub, marble and subway tile in shower with seamless glass door. Exterior features include New Impact Resistant windows and doors, New Composite Aztek decking, Oversized salt water pool and solar heating system. New railings on the deck, aluminum fence around the pool and an outdoor shower. Lastly location is at the end of a Cul de Sac and sitting on almost 0.50 Acres. Bring your buyers they will not be disappointed! Tall Pines Homes: LOW FEE COMMUNITY IN DESIRABLE NORTH NAPLES. Walking distance to EVERYTHING Lowes, Home Depot, Costco, Best Buy, Aldi's, Chick-fil-a, Culvers, AND MORE! Great private lot with tons of front and back yard space. TWO NEW AC UNITS IN 2016. ONE NEWER (2013) AND ONE NEW (2018) HOT WATER HEATER. NEWER (2013) ROOF AND SKYLIGHTS. All fixtures and electrical outlets replaced, newer carpeting in bedrooms, and complete with storm shutters on windows. HUGE open kitchen with center island, built in desk, granite counters, stone back-splash, and a GIANT separate formal dining and living area. Tons of space for storage and living with TWO WALK-IN storage ROOMS and an extra large laundry room that doubles as a storage room. Double vanities in 3/4 bathrooms and a completely updated master bath. Expansive PRIVATE 534 Sqft outdoor wood deck with plenty of room for outdoor furniture. Tall Pines Homes: Fabulous five bedroom five baths pool home in one of Naples most desirable communities. Top-notch schools right here with prime close in location near all shopping dining and entertainment… This home has been meticulously maintained and upgraded and provides an incredible value at price per square foot. Tall Pines Homes: Completely and stunningly remodeled pool house. Gorgeously tiled ( Porcelain ) tiled throughout. Breath taking modern kitchen & kitchen area including quartz counter tops. The kitchen was designed to be the heart of the house. Large size rooms, walk in closets and a den. Master bathroom is very big and feature a separate bathtub and shower plus his and hers sink. The pool area is screened and located in a semi court yard area allowing to see the pool almost from every angle of the house. Large laundry room and a 2 car garage. NEW 2018 ROOF. NEW PLUMBING and allot more . Great central location in a non gated community. only $550 annual HOA fees. Top rated school zone. Close to all best shopping centers, restaurants etc.. You are invited to live Naples luxury life without paying heavy association or club fees and still live in a secure, safe fantastic neighborhood. Tall Pines Homes: Don't miss this 4 bedroom plus den pool home in Tall Pines. It is rare to find a home in a non-gated community in North Naples with a convenient location, low HOA fees of only $550 a year, a newer roof, and that is zoned in an A rated school district. This home is within walking distance to Osceola Elementary and Barron Collier High School, 1 mile from Pine Ridge Middle School and is less than 5 miles to the beach. This charming lakefront home has a brand new pool enclosure and a peaceful backyard with a western exposure. Tall Pines Homes: Charming lakefront 3 Bedroom + Den in one of the most sought after family neighborhoods in Collier County - Tall Pines. Open floor plan with volume ceilings. Recently underwent full professional remodel - impact glass windows, hardwood floors, quartz countertops, new kitchen and bathroom cabinets, stainless appliances, plantation shutters, new neutral tone paint throughout, new base board, bathrooms completely refinished,new water heater and HVAC, LED lighting, new ductwork, new landscaping and irrigation, and brick paver driveway. Barron Collier High School district - routinely ranked best high school in the County, and top tier in State of Florida, over past 20 years. One of the best lots in Tall Pines - wide western exposure with stunning sunsets over the lake. Room for a pool. Low HOA fees ($450 per year) -- non-gated community. Tall Pines Homes: Bring the family! Bring the dogs! This neighborhood is one of the few non-gated (LOW HOA) SINGLE FAMILY home developments in North Naples that is walking distance to Barron Collier High School! Need a roasted chicken from Costco for dinner? You are ONE minute away. Need to drop the kids at the movies? ONE minute away. You get the idea. This development is in the middle of everything and canNOT be beat. The home itself is 2400sf of "beautiful" with volume ceilings, open floor plan, huge bedrooms, a completely re-done spacious kitchen, and a lanai and patio area with pool, water feature, lounging deck, pool bath and outdoor shower that feels like a tropical paradise! You have to see it! Tall Pines Homes: Come Check Out the View! Centrally Located Home in a Family Community on a Lake. This Home Features a New Kitchen with Stainless Appliances. Three Bedroom Plus Den with Two Bathrooms and a Pool. Need professional assistance selling your property at Tall Pines Naples? Find out how an Area Specialist can help to generate more property exposure in order to get the most money for your investment in the least amount of time.